Carlos Loumiet is a Partner in the Miami office of Broad and Cassel. He is a member of the Firm's Corporate and Securities Practice Group. Mr. Loumiet has advised clients in the business and financial services fields for more than 36 years in the United States, Europe, the Middle East, Asia, Africa, Latin America and the Caribbean. He has significant experience with a variety of business entities, including financial institutions, insurance companies and other regulated entities. His work has included both regulatory issues and transactions involving mergers and acquisitions, securities offerings, venture capital and private equity deals, financings, infrastructure projects, joint ventures and other commercial transactions, often across borders. As such, he has dealt with regulators and other governmental authorities in many different countries and contexts. represented numerous Internet-based companies on a wide variety of matters. Mr. Loumiet also served as neutral/chief arbitrator in several international arbitrations, and is a member of the International Chamber of Commerce's "Arbitration Top 100." He was the principal author of Florida's International Commercial Arbitration Act, Chapter 684, Florida Statutes, and also served on the board of the American Arbitration Association. Mr. Loumiet was previously co-chair of the international practice at Hunton & Williams as well as chair of its Florida Business Group from 2001 to 2011. Prior to that, he was associated with Greenberg Traurig LLP and for 10 years he headed that firm's international and banking practices. In 2005, Forbes Business Radio included Mr. Loumiet on its radio program, America's Best Lawyers. In 2006, Latin Lawyer recognized a transaction he led as the Top M&A Deal for 2006. In 2007-2008 Mr. Loumiet was involved in the first PPP transportation deal in Florida, the I-595 toll road, which was designated the US deal of the year by Project Finance magazine. Also in 2007, The Miami Daily Business Review named him a Top Dealmaker and cited another of his transactions as the Deal of the Year in the area of International Corporate law. Again in 2011, Mr. Loumiet was named as a Top Dealmaker for a toll road transaction he handled in the Dominican Republic. He has received many other honors and recognitions. In 1995, The American Lawyer named him one of its "45 under 45," a compilation of 45 lawyers under the age of 45 from across the United States who, in that magazine's view, might be future leaders of the legal profession. Mr. Loumiet has also been listed in numerous other publications, in some instances on multiple occasions. He has repeatedly been named a Florida Super Lawyer and was featured in an article titled, "The Man Who De-launders Money" in the first edition of Florida Super Lawyers, in 2006. 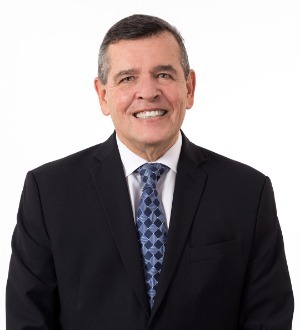 In addition, he was featured as a "Distinguished Attorney" by the South Florida Legal Guide in 2014 in an article entitled, "Carlos E. Loumiet: Developing a Global Practice." Over time he has been recognized by prestigious national and international publications for his work in the fields of Banking and Finance, Project Finance, International, Securities and Mergers and Acquisitions. For 28 consecutive years Mr. Loumiet has enjoyed the highest possible peer review rating (AV) from the Martindale-Hubbell Legal Directory, an honor voted by other lawyers and members of the Judiciary for both legal ability and ethical standards. Mr. Loumiet's current rating is AV Preeminent, the highest rating available. He has served on the boards of the FTAA Florida, Inc., the Florida International Bankers Association and chaired the Florida Latin America Internet Task Force, which was established by Florida Secretary of State Harris in 1999. From October 2008 until October 2010, Mr. Loumiet chaired the board of directors of the New America Alliance, a national association for leading Latino professionals. Previously, he served as a member of its board of directors as well as General Counsel to its Philanthropic arm, the NAA institute. He also served as the association's Compensation Committee Chairman, Co-Chairman of the Recruiting Committee and Co-Chair of its Capital Advocacy Committee. In 2010, he testified before a joint hearing of two subcommittees of the US House of Representatives, Committee on Financial Services on "Women and Minorities in Financial Reform." In 2006, Mr. Loumiet testified before the US House of Representative's Committee on Financial Services, Subcommittee on Oversight and Investigations, on "Diversity in the Financial Services Industry." Previously he had also testified on Latin America before the Western Hemisphere Subcommittee of the House Committee on International Relations. Mr. Loumiet taught international banking and banking regulation courses at the University of Miami Law School and Yale Law School for four years at each institution. He is a former member of the Executive Committee of Yale Law School. Mr. Loumiet currently serves as a board member of the Cuba Emprende Foundation. He is a frequent speaker in English and Spanish at conferences in the United States and abroad, and he has authored a dozen pieces in legal publications.